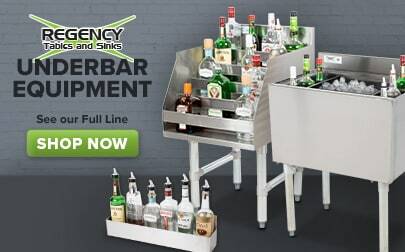 Equip your bar or restaurant with all the essentials, including an undercounter ice machine! These space-saving machines are designed to be placed underneath countertops so they won't get in the way of your busy bartenders and servers at work. Our selection of undercounter ice machines will help you keep up with high demand by producing dozens to even hundreds of lbs. of ice in a single day! 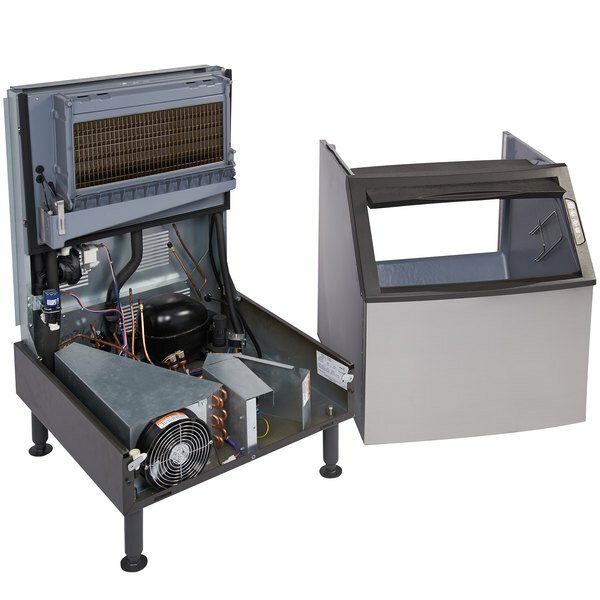 We offer two types of condensers - air cooled or water cooled. You need at least 6" of clearance around air intake and discharge areas with an air cooled unit, but these machines are the most cost-effective. 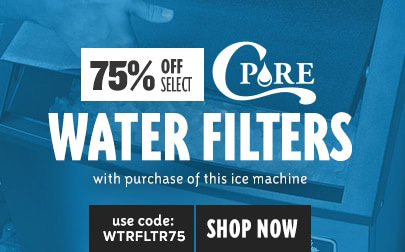 If you only have the space for water cooled ice machines, just keep in mind that water consumption will be higher than it would be with an air cooled unit. The ice machines will also produce different styles of ice cubes. Often times, this comes to a matter of preference, but there are certain types of ice cubes that work better for certain places. For example, cubelet ice and flake ice is easier to chew, making it better for healthcare applications. 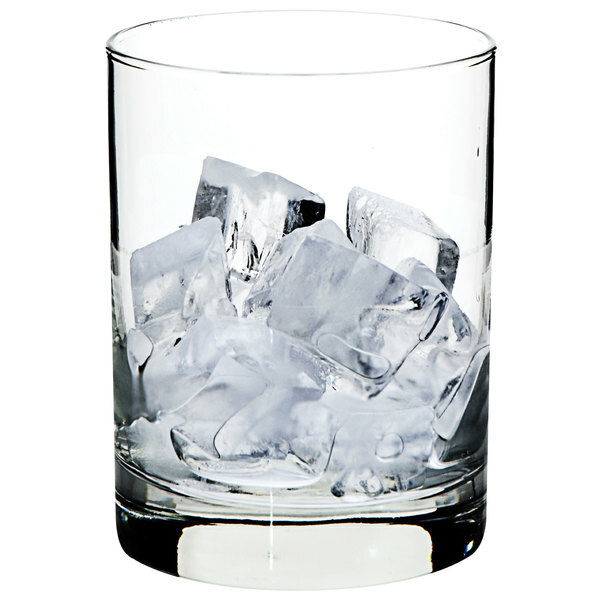 Full size ice cubes melt more slowly, which your guests are sure to appreciate! If you’re in the market for an ice making solution, check out the new NEO from Manitowoc Ice. It could be the perfect fit for you and your operation. Rather than transporting ice from other areas of your operation, NEO delivers the ice right to where you need it, within reach. 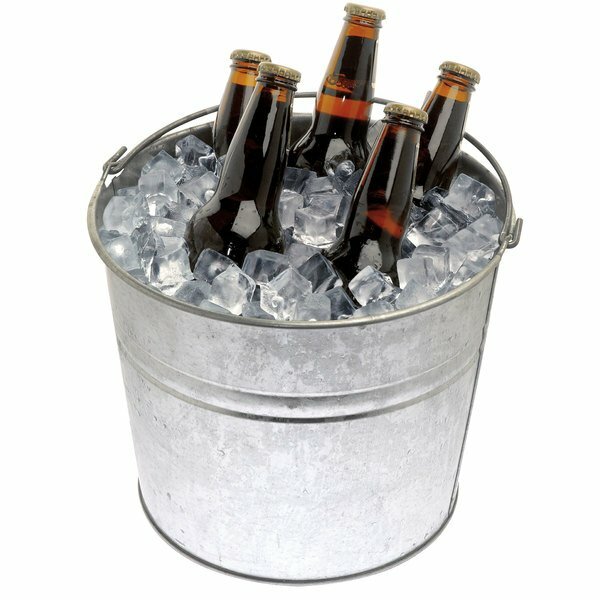 Perfect for restaurants, bars, cafes, coffee shops, stadium boxes and offices; anywhere you need a convenient source of ice. 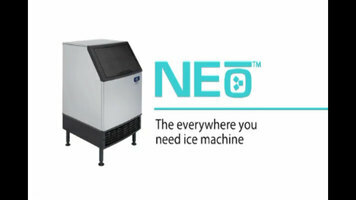 NEO, the everywhere you need ice machine. The engineers at Manitowoc Ice have come up with a new way and a new approach to supplying ice for your business. It’s a new standard, a new class, a new level of performance, intelligence and convenience. 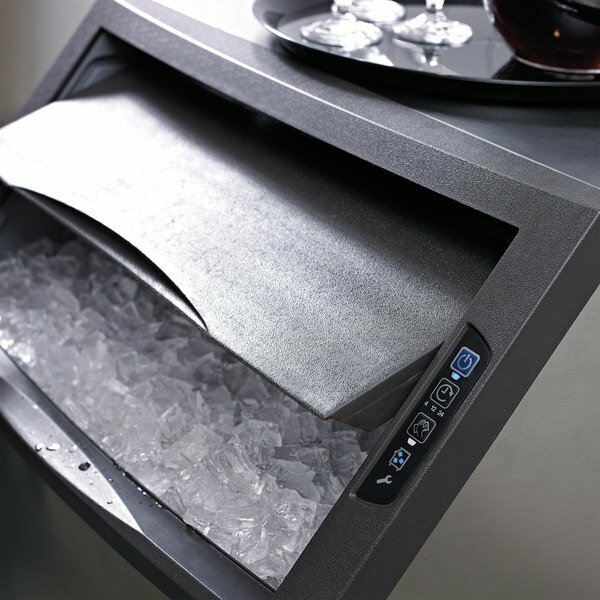 NEO is an all-in-one, undercounter, ice making and storage solution; an ice maker and a bin all in one. 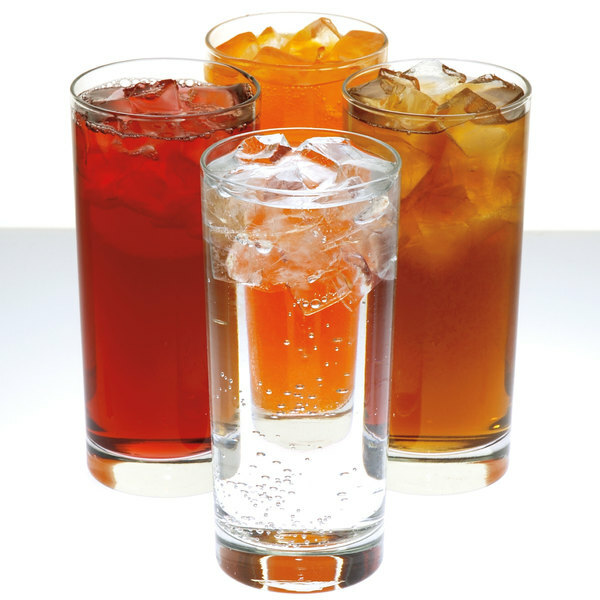 Add up to 320 pounds of ice production over a 24 hour period, that’s the equivalent of more than 1,000 drinks per day. NEO outperforms in energy conservation as well, with more energy star qualified models than ever before. In fact, compared to our previous line, NEO delivers up to 40 pounds more ice, with at least 25% less water and 10% less energy. That’s performance you can put straight to your bottom line. When you’re running a busy operation, the last thing you want to worry about is your ice machine. NEO comes with built in intelligence that takes the worry away. Just imagine when you start the day, the illuminated power button tells you the machines is up and running, the full bin indicator lets you know the ice you need has been made. NEO features a delay mode to take energy and water conservation to a whole new level as well. Now you can pause production without disabling the machine for 4, 12 or 24 hours. Perfect for days you’re closed or for working around slower periods. A service indication has been added to give notice that service may be required. This alert can service an early warning so that the machine can continue to operate while service is being called. Under counter ice is all about convenience. The ability to place and ice machine exactly where it’s needed most, makes perfect sense for so many operations. And when you make a NEO a part of your operation, you’ll see that Manitowoc Ice has made owning, operation and maintaining your NEO convenient too. Here’s why, we’ve simplified the food zone and made it easier to clean with rounded corners and the components have been moved away from the food zone to give you less to clean around. And for parts that do need to be removed for a full cleaning, we’ve attached them with thumb screws so that no tools are required when removing them. LuminIce growth inhibitor option is also available for all NEO models. Proven to be effective in reducing mold, yeast and bacteria by independent lab testing. This unit can help reduce the cleaning frequency, and time needed to clean. The exterior features new panels that are fingerprint resistant and easy to wipe clean. 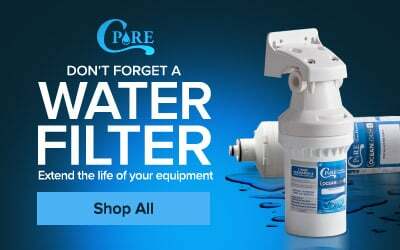 The air filters is conveniently located on the front of the machine where it can be removed and rinsed clean with ease. We even redesigned the scoop and holder. Not only is the scoop more comfortable in your hand, it’s easier to retrieve ice without making hand contact with it. It’s much more sanitary. And the scoop stores conveniently inside the bin on the left of right side so it’s always there when you need it. NEO has been designed for serviceability. A removable bin makes it easy to perform service, while the machine sits in place. Then, along with modular construction, makes the machine much easier and faster to service, less money out of your pocket, especially after the warranty expires. That’s why, when you need a convenient ice solution that makes sense, pick NEO by Manitowoc Ice, the everywhere you need ice machine. 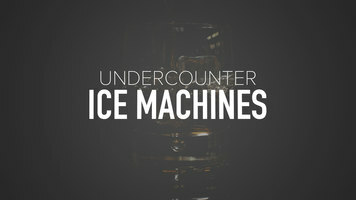 Check out this video to learn about Manitowoc's line of NEO undercounter ice machines. They are perfect for restaurants, bars, cafes, offices and more. Power Usage 9.2 kWh per 100 lbs. Water Usage 16.7 Gallons per 100 lbs. How long does it take this ice machine or ice bin to ship? *Because this ice machine is stocked in WebstaurantStore warehouses, we are able ship orders placed before 12:00 PM EST on Monday through Friday within 4 hours. Due to carrier pick up schedules, any orders placed after that time will ship the following day. If the unit comes with both an ice machine and an ice bin, the two components will ship at the same time. How do I ensure my new Manitowoc product’s warranty is activated? Make and store ice in one compact machine with this Manitowoc UYF-0140A NEO undercounter ice machine. This air cooled ice machine combines impressive ice production, user-friendly controls, and simple maintenance in a space-saving undercounter package! Ideal for making ice in small volume applications or as a supplement to a larger ice machine, this unit can produce up to 137 lb. of half dice cubes per day while boasting an ample 90 lb. bin. A push pad control and indicator panel boasts universally recognizable display icons that show you when the power's on, the bin's full, service is needed, and when there's a clean cycle in progress. There's even a "delay" button that halts ice production for 4, 12, or 24 hours, making it perfect for operations that are only open for portions of a day! The buttons are brightly illuminated by LED lights and placed on the slanted bin front so that you can easily press and view them without having to bend over. 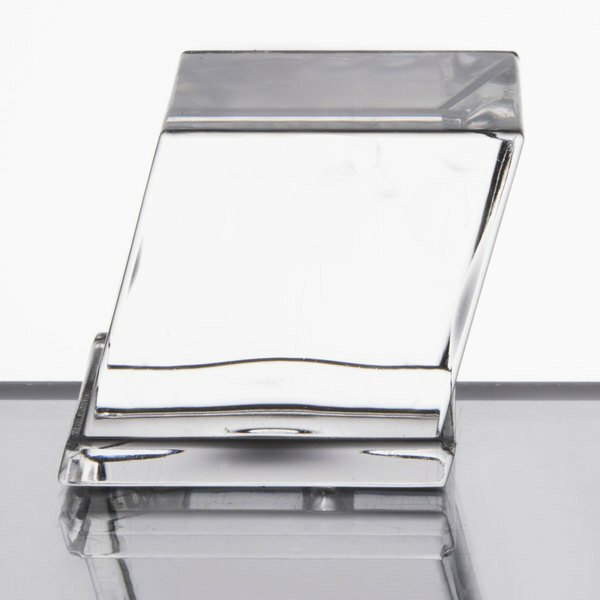 This ice machine features an easy-access door that slides up and out of the way, giving you a clear path to the ice for simple filling of pitchers, glasses, and even transport buckets. It also conveniently includes an ergonomic scoop with a comfort grip handle, along with a holder that can be mounted on either side of the machine for easy storage and access. With a front breathing air filter, this unit is great for bars or restaurants with tight undercounter space. The machine's air filter is designed for simple, tool-free removal for quick access during routine cleaning and maintenance, while the bin can be easily removed for full access to the machine's interior components during more thorough cleaning and maintenance. A 115V electrical connection is required for operation. 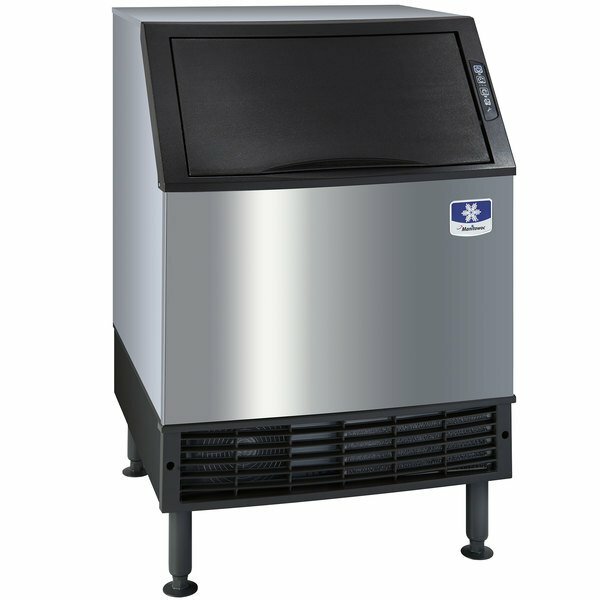 Overall User Rating: Manitowoc UYF-0140A NEO 26" Air Cooled Undercounter Half Dice Cube Ice Machine with 90 lb. Bin - 115V, 137 lb. In no time after I had the water hooked up and the machine plugged in, it was making ice. Really nice and quiet and makes ice super fast. This ice machine is great! Really bumps, we keep ice in it all day long even though we use a lot of ice. Doesn't take long to fill up and the slide top makes it really easy to scoop ice quickly during a rush.